Dogs are naturally witty and hilarious. We can’t get enough of their cuteness and cuddliness. Even though they are naughty at times, our hearts would always melt every time we see their squinty eyes. 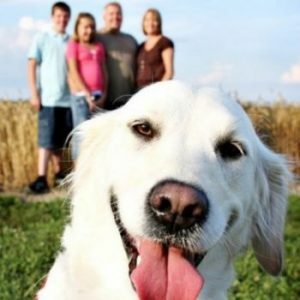 Here are 17 dog photobombs that will make you laugh. Okay, guys – the party’s OVER!! Excuse me? This is MY tree!! Add me to your groufie, please? 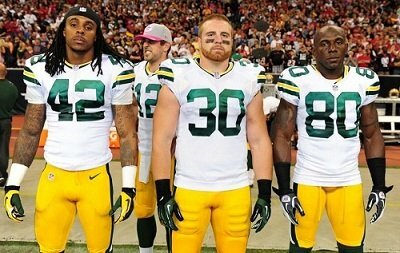 The most memorable jump shot photobomb. 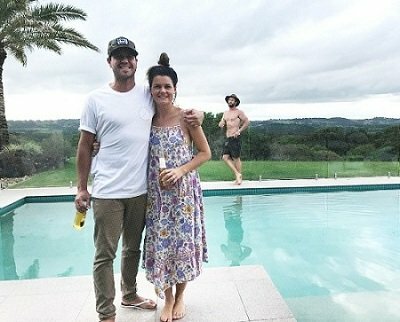 When you want to be in the photo SO bad! Funny! 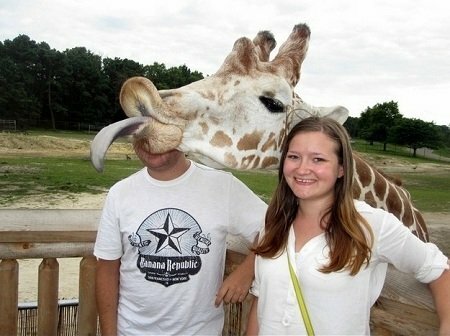 That is how I would totally describe this picture. 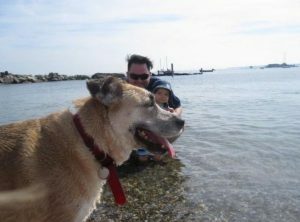 While the lady was about to take her sexiest swimsuit selfie ever, a German Shepherd, on the other hand, was taking a poop which totally ruined this photo. I bet the dog was thinking “Aha! No one would catch me doing my poop in this peaceful garden”. This picture is hilarious! What a beautiful and sunny day at the beach. The best day to get your tan and the right moment to take a good picture, right? Without knowing about the two working dogs in the background doing their own thing. 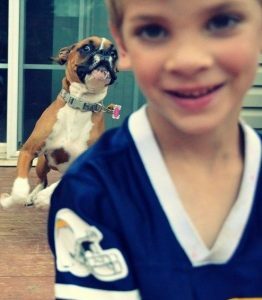 It looks like this American Bulldog wants to include himself in the picture. So he moved behind the boy to get himself included in this image. This picture is SO cute and funny! Funny! 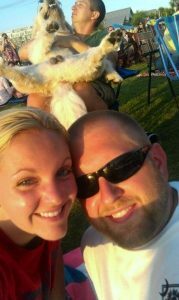 I can’t stop laughing after seeing this dog photobomb! 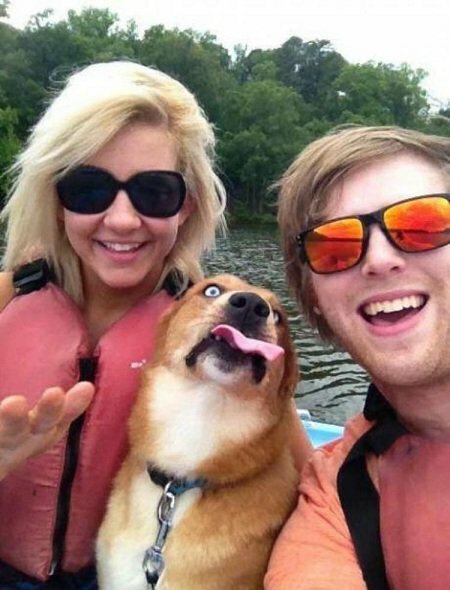 As these two lovebirds were having a picnic and taking a lover’s selfie, the guy at the back was also pampering his dog, at just the right moment! Ah! What a lovely day to sit in the park. Feel the breeze of the air and smell the fresh cut grass. The picture would also be a beautiful day to have a pre-wedding photo. This picture was almost perfect until someone decided to pass by and poop. The dog is having his moment at the beach. 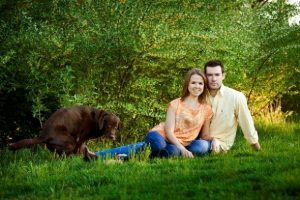 While the father and his baby are up for a pose, their dog didn’t want to step out of the way. Dogs also love to be on the beach and have a little swim too! 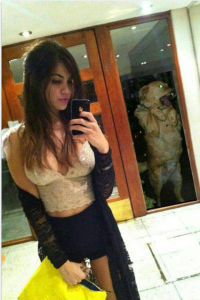 It seems to me that this dog is NOT enjoying the party. 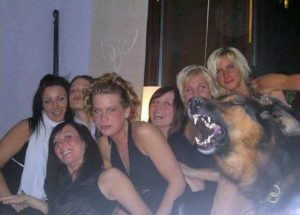 It looks like the dog is shouting “Can you all go home now please.” As these sorority girls were enjoying their night, the dog, on the other hand, wants all of them to go home. Dogs really love playing catch. 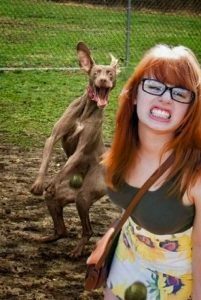 This timely photo was taken on a football field where the dog was about to get the ball and the young lady was up for a selfie. When you have a new tattoo and want to send a picture to your friends to show them how cool it looks. Nothing is lovelier than taking a picture with your dog drinking in the toilet. If you’ve got a great body and you want to post it on Instagram but your dog just got you photobombed. Having dogs in the picture makes it look even more lovely and interesting. Friendship goals number one. During the summer take a picture with your best friend under a tree. 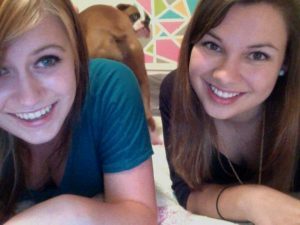 These two girls haven’t even noticed that there’s a dog trying to take a pee. Dogs have a urine-marking behavior that makes them mark their territory. Like dogs. Ladies beware!! The bomb-sniffing dog, who sniffed and sniffed. 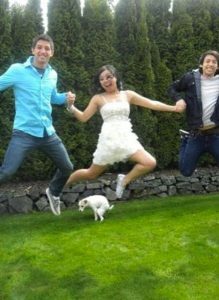 The dog in this picture looks really funny. He’s a total ninja! Even the guy and the lady didn’t notice that the dog was there. This picture was almost perfect because of the amazing view in the background. Until the sniffing dog came into the picture. 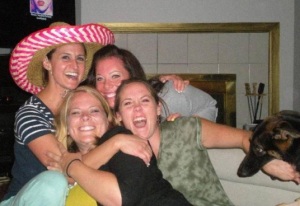 These friends are really having fun but the dog just can’t get enough of her owner. Dogs always want to get pampered even if you’re surrounded by people. They really want to get your attention which is a cute gesture of dogs by the way. If you’re much into groufie pictures you really don’t want to miss a jump shot with your family or friends. In this picture the cute little dog is taking his moment of poop.The dog might have just passed by and decided to stop as the camera flashes. I guess they all need to do another jump shot. This American bully was just at the right moment when these two beautiful ladies were about to take a picture. This picture looks really cute, seems like the dog was stalking on what they were doing. The beach is one of the most perfect spots for a wedding because most of us really love to be on the beach. The face of the dog in this photo looked so funny. The dog really took the center stage. Every dog needs a home and a family to nurture them. The face of this dog really looked bright and happy. What a nice family photo! Dogs are man’s best friend. They can lessen stress, anxiety and ease loneliness. Their stubbornness caught on cam will definitely give you a good laugh. 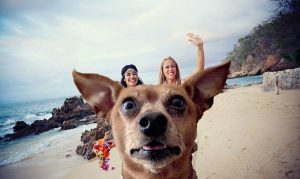 Dog photobombs caught at the right moment will certainly remind you of your dog’s humorous moments.